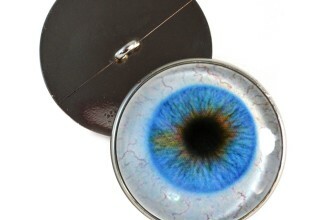 These mesmerizing glass eye designs add life and intrigue to a variety of creations and restoration projects. They are used for everything from art doll making, wire wrapped jewelry pendants, paper mache projects, and more. 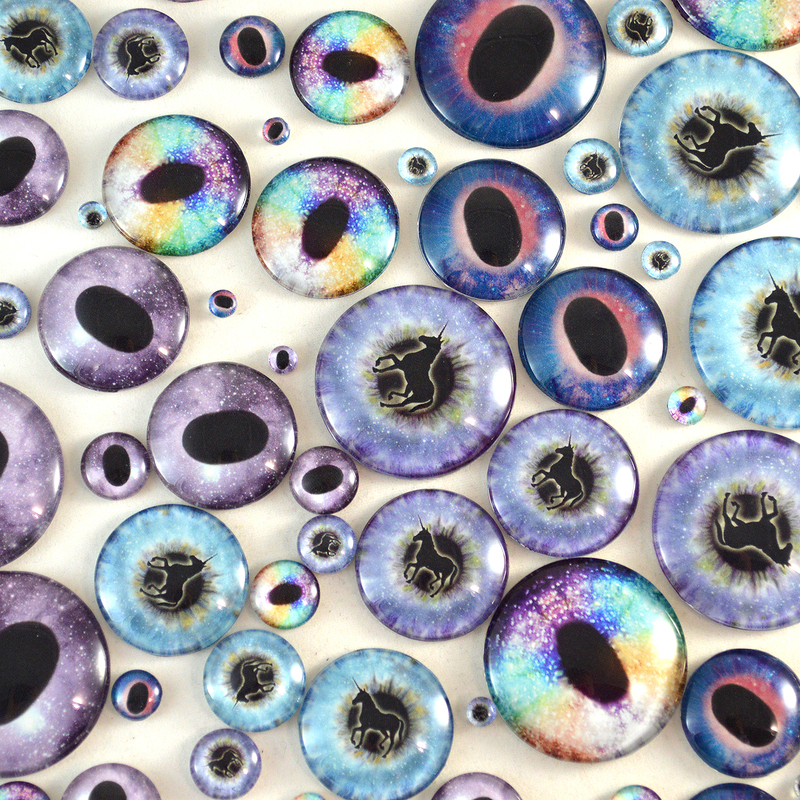 Each unique glass eye is originally designed by Megan Petersen and handmade to order, shipping out worldwide in as little as 1-3 days. 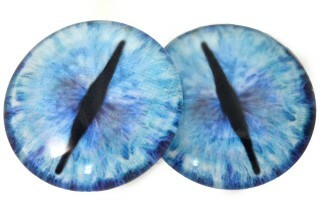 You can now shop originally designed, handmade glass eyes by Megan Petersen at the new web destination https://www.handmadeglasseyes.com. 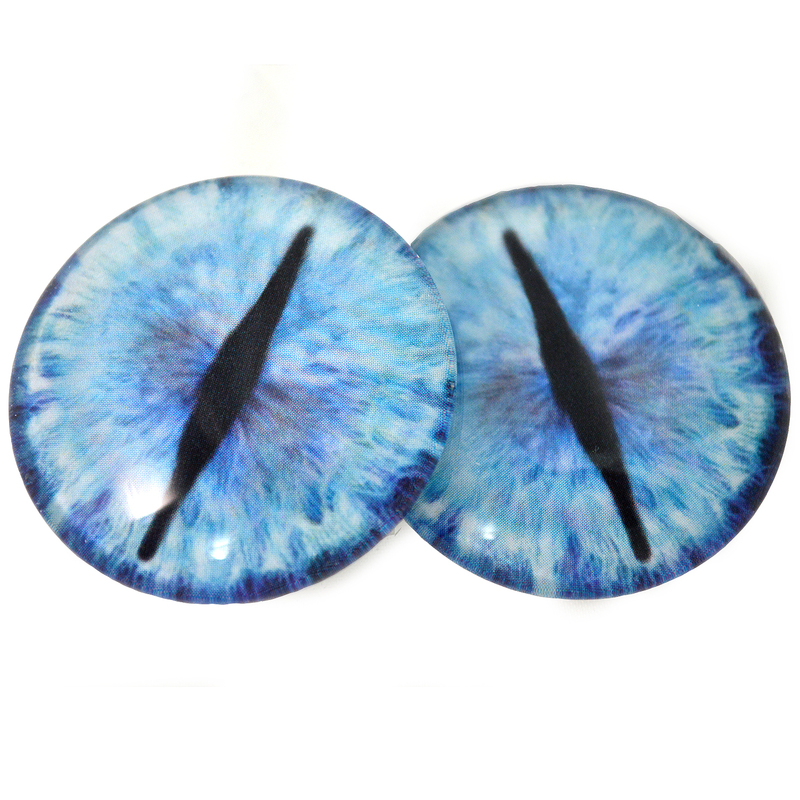 These popular glass eye cabochons are used for art doll making, jewelry design, paper mache, scrap booking embellishments, sculptures, cosplay costumes, fursuit creation, and beyond. 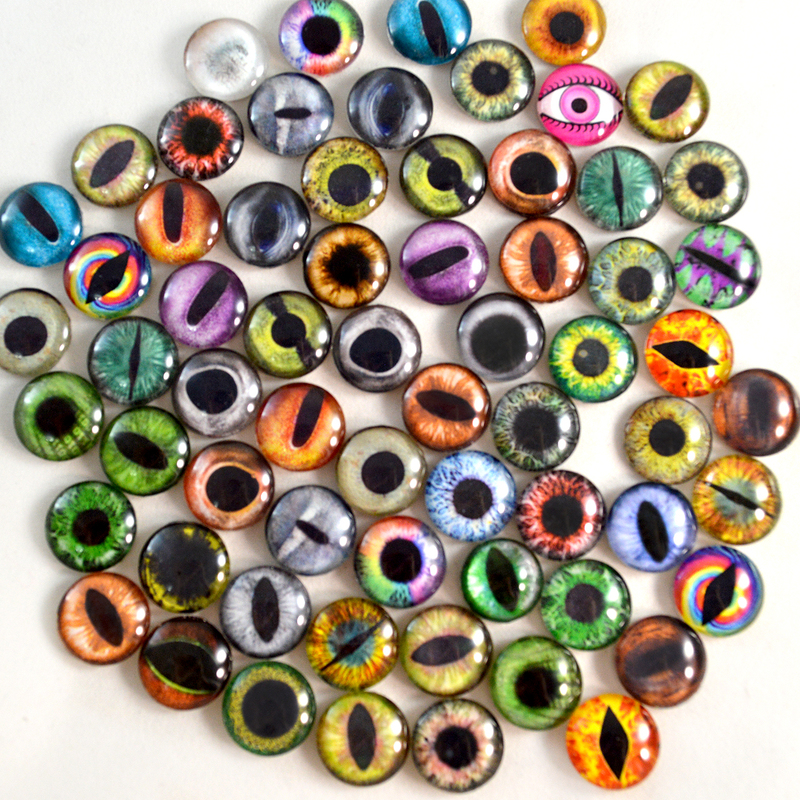 When exploring the vast variety of eye designs, visitors will find dragon glass eyes, human-inspired eyes, realistic animal eyes, fantasy eyes, miniature doll eyes, glow in the dark eyes, and more. 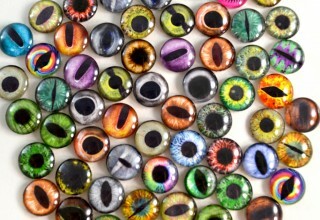 These spellbinding glass eyes come in a variety of sizes. These glass eyes are as small as 6mm, and as large as 40mm with several other sizes in-between. 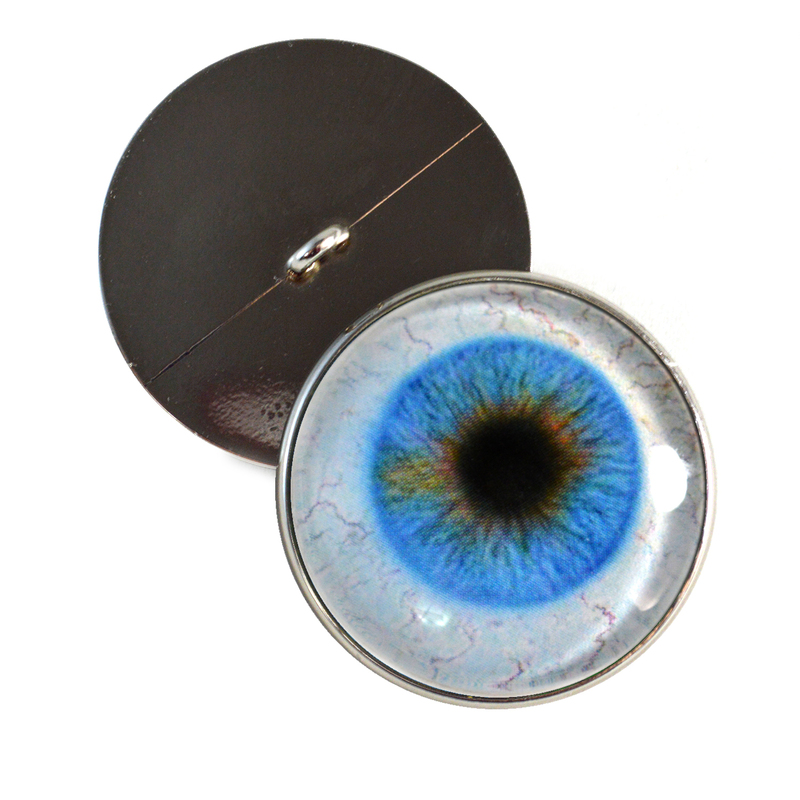 There are options for flat back glass eyes, to be glued to surfaces of the maker's choice, or sew on glass eye buttons, which are perfect for adhering to soft sculptures, crochet dolls, and other sewing projects. New glass eye designs are released frequently, with careful thought and feedback considered in each rendering. Designer Megan Petersen is always coming up with something new for her customers! Email subscribers get an extra special bonus: 20 percent off their entire order every time they shop! All they have to do is enter their name and email at http://eepurl.com/bUKHeL. 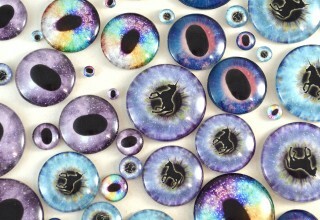 Megan began designing and creating her handmade glass eyes to include in her beaded jewelry line. After so many other artisans started to ask her for the glass eyes so they could use them in her own projects, she started to make and sell them on their own. To make shopping for glass eyes easier for these customers, she created a new, separate website exclusively for glass eyes and cabochons. Thus, handmadeglasseyes.com was formed. You can reach out to Megan Petersen by sending an e-mail to contact@handmadeglasseyes.com or filling out the contact form on her website at https://handmadeglasseyes.com/pages/contact-us.